John Wright was born in Sydney, New South Wales on 22 August 1944. He was always destined for a technical career as he used to read physics and chemistry books as if they were novels, and set up his own chemistry laboratory in a back shed at his home in the seaside suburb of Clovelly. His parents used to worry that he would either poison himself of blow himself up in his curiosity driven pursuits. But he did survive and after leaving school decided on a career in metallurgy which he saw as a practical application of physics and chemistry to minerals and metals. He went on to complete BSc (1966) and PhD (1970) degrees at the University of NSW in extractive metallurgy. He commenced his working career with the Australian Mineral Development Laboratories (AMDEL) in Adelaide in 1970. This was during a mineral ‘boom’ in Australia and provided an exciting background for a fresh graduate to obtain an understanding of one of Australia’s essential industries. He worked with a wide range of Australian and international companies, specialising in the application of smelting technologies to a variety of metal ores. In 1973, he joined the CSIRO Division of Mineral Chemistry in North Ryde, Sydney, as the leader of the CSIRO’s iron ore processing group, to follow his interests in ferrous (iron and steel) smelting. Over a seven year period he rose to the position of Principal Research Scientist based on his sustained contributions to the science and technology of the conversion of iron ores to metallic iron (supported by the Australian iron and steel industry) and his prolific publications record. In 1980, John decided he needed more hands-on experience of the industry and resigned from CSIRO to join Hatch Associates, a Canadian metallurgical consulting company based in Toronto. During his employment with Hatch, he rose to the position of Chief Process Engineer responsible for a range of metallurgical processing operations in North America. He returned to Australia in 1983 to lead a short term project for the National Energy Research Demonstration and Development Corporation (NERDDC). The project, with the CSIRO Division of Mineral Processing and Engineering (CMPE) in Melbourne, was on the direct smelting of iron ore. The process involved the injection of fine iron ore and coal into turbulent molten iron baths at temperatures up to 1 500 ºC. Around the same period, Conzinc Riotinto Australia (now Rio Tinto) became interested in the process, and offered to take over the NERDDC contract and extended the work for a further three years. The process subsequently became HIsmelt, a revolutionary direct smelting process now being bought to commercialisation in Kwinana in Western Australia. John’s leadership and building of the R&D team considerably advanced the fundamental understanding of the process variables with a direct result on the operation of the pilot plants built in Germany and then Australia at the time. An example was the effect of coal structure on the rate of dissolution in molten iron and the critical role of dissolved sulphur in slowing down the process. This assisted in defining the range of feed stocks for HIsmelt and the operating procedures for optimum performance. Based on this success, John was appointed Assistant Chief and took over the operations of the Division’s smelting group. During the latter half of his work with CMPE, Wright gained a greater appreciation of the role of energy in society and its impact on the environment. The shift to a greater focus on energy kindled a passion to make a difference in this area. In 1994, in recognition of his strong leadership in the minerals and energy domains, Wright was appointed to the position of Chief of the Division of Coal and Energy Technology in Sydney. He immediately removed ‘Coal’ from the Division’s title to emphasise energy in all forms, and commenced a campaign to lift the priority of energy R&D both within CSIRO and to external stakeholders. The end result of this campaign, an example of ‘the extra mile’, was that in 2000 John’s initiative to relocate the Division to a greenfield site in Newcastle was approved. With the completion of the facility in 2003, the profile of CSIRO energy R&D was significantly enhanced and this continued with full occupancy and lift in ‘energy’ support and impact. In 2001, he was appointed a Conjoint Professor of the University of Newcastle. 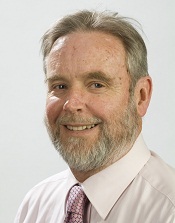 In 2002, in recognition of his leadership of energy R&D in CSIRO, Wright was appointed the inaugural Director of the Energy Transformed Flagship Program, a position he held to the end of December 2008. During this time, he built the program into a $55 million per annum activity addressing the most significant greenhouse emission and fuel security aspects of the energy and transport sectors of the economy from both supply and demand perspectives. The Flagship has a major profile in both areas and continues to lead the multidisciplinary, multi-Divisional CSIRO programs in the energy domain. the Carbon Storage Leadership Forum. He is a member of the United States Department of Energy Carbon Storage Program and the Canada Foundation for Innovation. He gives four to six invited international presentations per year in recognition of his international standing. Committee member the Australian Energy Alliance. Wright J, 2010, Personal communication.